With summer slowly coming to an end, you may be trying to incorporate seasonal vegetables and superfoods into your diet. If you’re a fan of salads (let’s face it, we all are! ), you might as well load up your plate with a variety of raw vegetables, nutrient-rich greens, and healthy superfoods to reap the most nutritional benefits. 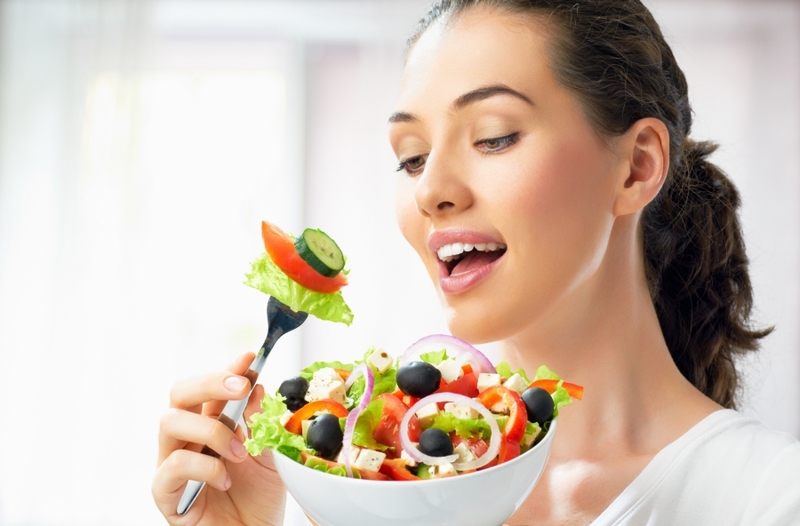 In this article, we’ll discuss the healthiest superfoods to include in your next salad. 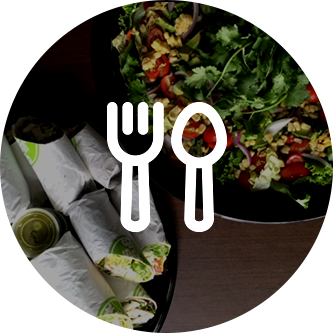 At Greenspot Salad Company in San Diego, we love superfoods so much that we incorporate them in practically every salad and wrap on our menu. Whether you’re in the mood for our Superfood Salad, which is made from fresh spinach, kale, broccoli, and quinoa, or you want something a little more hearty like our California Turkey Wrap, you’re sure to find something you’ll love on our menu. 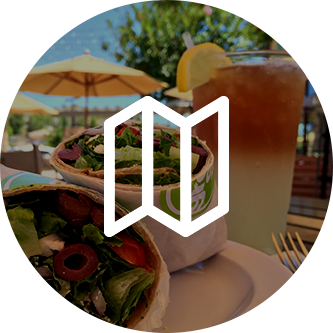 Stop by our Sorrento Valley or 4S Ranch restaurant today to try some of our amazing and healthy dishes! The avocado is one of our favorite superfoods to include in our salads and wraps. Also known as an alligator pear or butter fruit, the avocado is the only fruit that provides a substantial amount of healthy monounsaturated fatty acids. This unique fruit consists of a variety of healthy fats, and studies have shown that this nutrient-dense food contains nearly 20 vitamins and minerals. As you may already know, eating a diet that is plentiful in fruits and vegetables has long been associated with a reduced risk of obesity, diabetes, and even heart disease. Walnuts are another wonderful superfood that you can add to your next salad. With just a quarter-cup of walnuts, you can consume more than 100 percent of the daily recommended value of plant-based omega-3 fatty acids, along with high amounts of copper, magnesium, and biotin. These nuts have also been found to contain the amino acid L-Arginine, which is known to offer various vascular benefits to those who suffer from heart disease. Studies have also shown that walnuts may help with weight control and brain support as well. If you’re looking for a way to give your salad a touch of natural sweetness, consider adding a prune to your next summer salad. Prunes are high in natural polyphenols, which can aid in the bone strength as well as stimulating cell growth. Try throwing prunes in your next Asian-inspired salad with some chickpeas, cumin, and garlic oil for a delicious and delicate flavor. Over the past several years, kale has become known as “the new beef”, as well as a “nutritional powerhouse.” Adding kale your diet can aid in digestion and elimination due to its high fiber content, not to mention this green is filled with a plethora of other nutrients and vitamins. In fact, per calorie, kale has more iron than beef and it is filled with several antioxidants such as carotenoids and flavonoids which can help protect you against various cancers. Try adding some kale to your next salad by mixing it in with regular lettuce for a little extra nutrition and flavor. 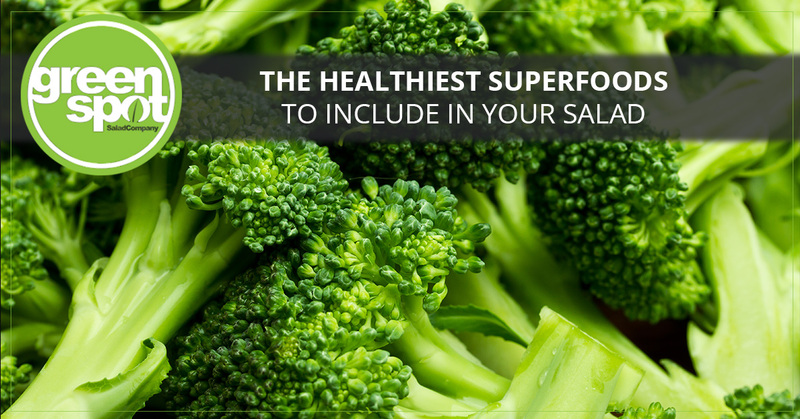 Broccoli is another excellent superfood to add to any salad. From a nutrition standpoint, broccoli contains a plethora of potassium, fiber, vitamin C, and the antioxidants. Adding more broccoli to your diet can reduce your risk of cancer, strengthen your immune system, and promote overall good health. 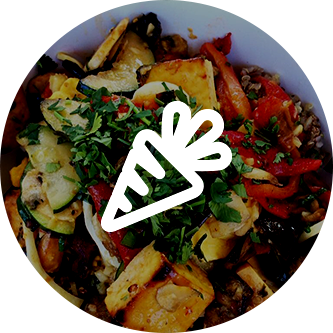 At Greenspot Salad Company in San Diego, we try our best to incorporate a variety of superfoods in each and every one of our salads and wraps. If you’re looking for a quick and healthy meal, stop by one of our salad bar locations today!